Planning a day tour with family or friends???? Without taking a second thought transform your ideas into a trip full of excitement and fun with the team of CAR RENTAl which offers a best car rental deals customized by you. 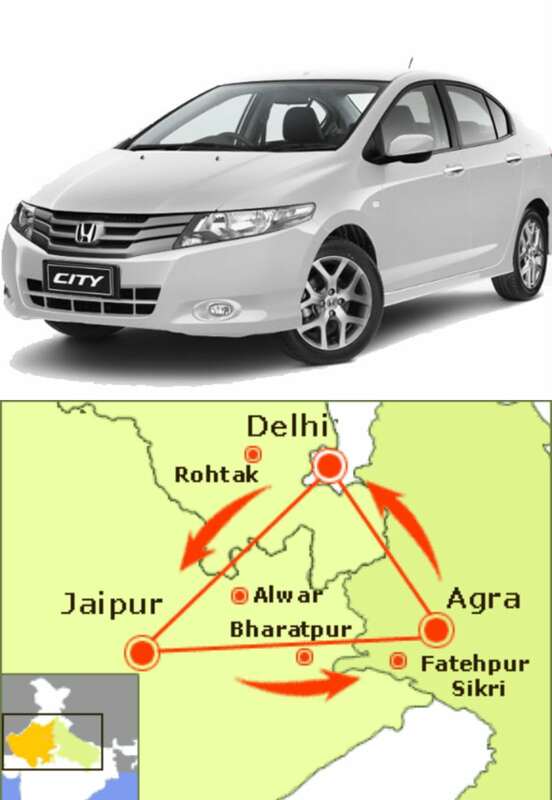 We are one of the leading Car Rental Service Provider in all across Jaipur and for the Golden Triangle. We are value oriented and focus on the needs of our clients and provides car rental discounts to our clients. In this pack we provides our cars(Sedan and SUV model) on rent in jaipur for one day sightseeing excursion of Golden Triangle. After memorable trip we will driven towards Jaipur Railway station or the airport.!! !